Designed by Peter Homestead, the Cantos Relaxed Sling Dining Chair was inspired by music. The Cantos Relaxed Sling Dining Chair is a transitional or traditional design depending upon the selected frame finish and fabric. This outdoor dining chair is made of powder-coated aluminum and a single layer of vinyl-coated polyester fabric loosely slung into the back and seat. 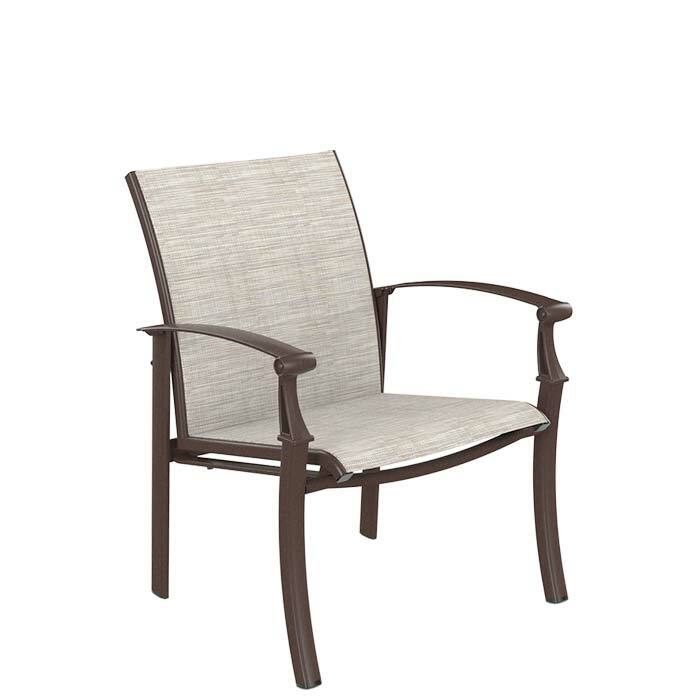 Cantos Outdoor Dining Chairs nest four high, enabling easy storage.